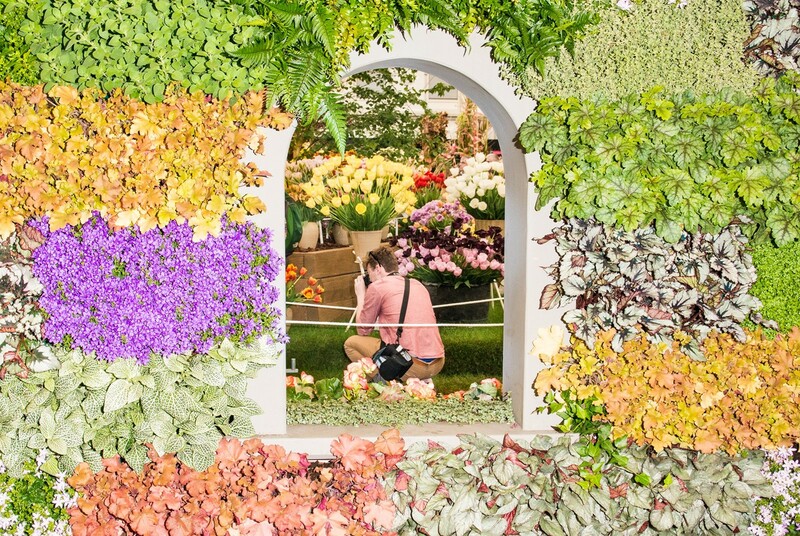 The RHS Chelsea Flower Show’s Grand Pavilion boasts over three acres of land – combined, that’s the equivalent of 3,230 average British gardens. The structure is brimming with exquisite vegetation, the proud fruits of hundreds of nurseries’ labour and love. In just the preliminary circuit there are more than 6,000 plants making up the best-in-show gardens, helping ease the slow and steady trickle of visitors through a maze of sellers, each touting their take on Tiki garden furniture, oversized bean-bag chairs and outdoor teppanyaki hot plates. 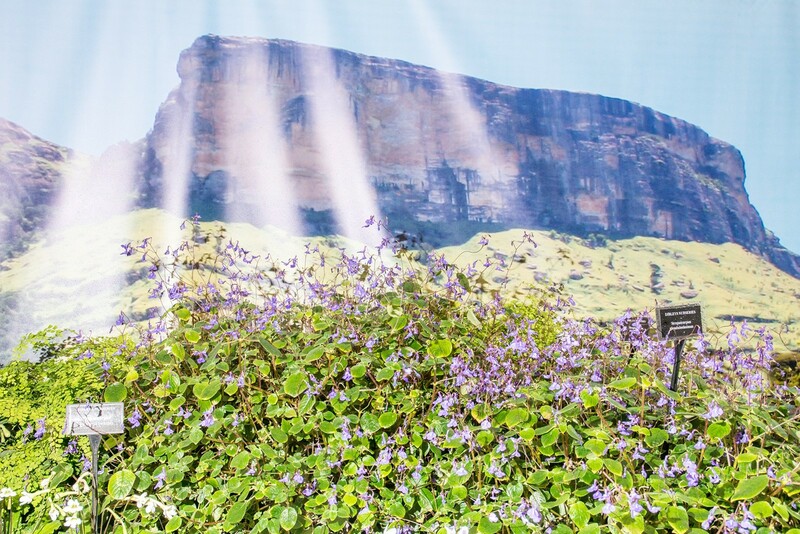 This thoroughfare of shops and show spaces – think the welly-wielding outer edges of Glastonbury festival, or, if you can imagine, the orchid bouquet stalls at Birmingham Wedding Show NEC – is a place where plantsmen and -women come to worship. Standing in the 20-person-long Portaloo queue, somewhere between the stall selling tulip-printed Crocs and the press tent, it became resoundingly obvious: we humans bloody love plants. In the swift application of a squirt of clementine and prosecco hand wash standing at a vast steel sink, I could count no less than nine iterations of floral-print clothing in just one peripheral glance. Of course, everyone had dressed for the occasion: in tropical-print slacks, a cherry-blossom-laden kimono complete with cerise red lip, fern-printed cardigans, shirts swimming with digital-printed daisies and Hawaiian hibiscus – while ditzy florals covered totes, tunics, silk pashminas and dresses of all shapes and sizes. But in the days and streets that proceeded my day at the Chelsea Flower Show, I saw countless more. Our floral fascinations do not, it seems, stop at these doors. Of course not: why else would we dole them out at every landmark moment? From births to birthdays, weddings to funerals, new homes to sick beds, flowers are used to both demarcate and enliven our routines and rituals. They are proven – says a study by Jeannette Haviland-Jones, PhD, Professor of Psychology at Rutgers University – to improve our moods, energy, mental health and general contentedness. They are linked inextricably to our wellbeing. This year’s show-stopping foxgloves (digitalis purpurea) come in Illumination Raspberry (a soft graduation of white into a fruity pale pink); Sweet Dreams (dusty apricot); and Dalmatian White (a violet-flecked white). A cartoonish mini Alpine scene of lupins (lupinus) – their colourful conical blooms displayed like the pointed spires of a castle town – are catalogued as joyously as they are displayed, from King Canute to Magic Lantern, Manhattan Lights and Persian Slipper. A greenhouse brims with leggy nasturtiums (trapaoeolum manis) that trail out from their pots and spill over shelves, tough cabbage leaves revealing tropical-looking trumpets in blood orange and red-striped primrose. It’s name: the regal-sounding Empress of India. Bearded irises (iris croatica) are everywhere – the gentle giants’ heads softly survey the meadow-like foliage that cover many, if not most, of the show gardens. Kent’s Pride was the most startling, in a sandy brown with a yellow spotted mouth. While Madeira Belle (a loose, feathered white) and Sultan’s Palace (a velvety burgundy) interrupted play of the traditional Blue Shimmer – the softest pale blue that we’d typically imagine as an iris. And of course the roses (rosa). Between City Livery (a full tea rose: its saucer cool white; its cup a rich butter yellow) and Queen’s London Child (a loose, unravelled bubblegum pink with peachy centres and dusty yellow seeds) sits Mary Berry, with the hue of a perfectly crisped meringue. So prestigious are flowers that we name them after the nation’s favourite people. But the Chelsea Flower Show is for people who love flowers specifically, less so gardens. Though there are many gardens – each with its own variation on a futuristic pod, sci-fi-style integrated architecture and stylish galvanised steel statues – it inevitably cannot capture the sheer joy of stumbling through a garden IRL. No matter how authentic the “Welcome to Yorkshire” spot may look, what’s missing is the wildness; the time-worn tracks of feet, ivy, weeds; the bedding-in of organic life. What you will find here are perfectly pitched gardens, so cultivated they begin to resemble their own computer renderings – these are wedged between stalls selling brass fire pits with intricately carved nymphs, bespoke wendy houses complete with double-glazing and bronze resin statues of life-sized, leaping bearded collie dogs. The high ticket price ordains it so. 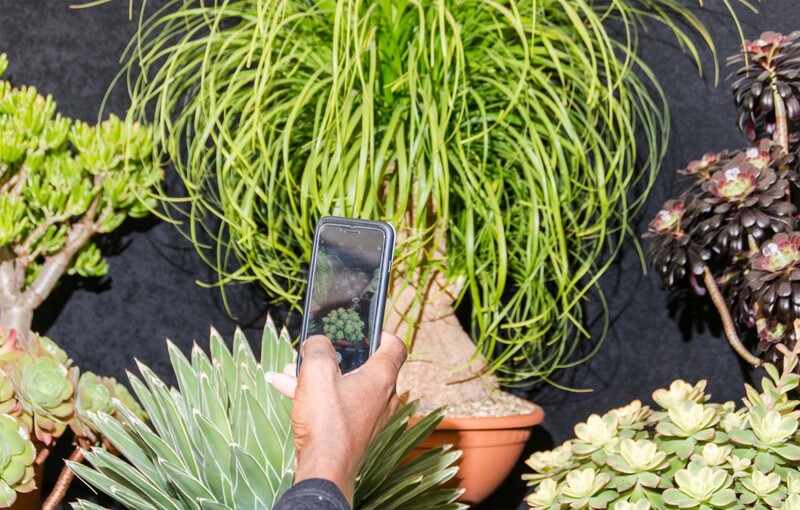 What that ticket price will get you though, is an education (see above: a new and astounding knowledge of plant names) via a spectacular ode to the species that have endeared us so long. But those ticket takings also help send real-life gardens out into the world through the Royal Horticultural Society’s expansive projects. 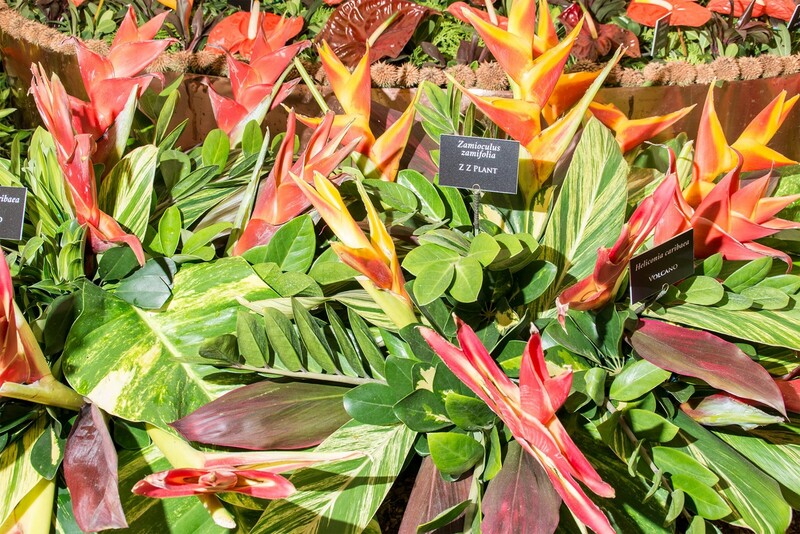 Disadvantaged schools and refugee camps benefit from the plants that are likely being recycled as you read this, while the RHS will fund and facilitate scientific research, education programmes and exhibitions, ensuring a horticulture-full future as the planet’s climates change. And thank heavens – because, you know, we humans love flowers.